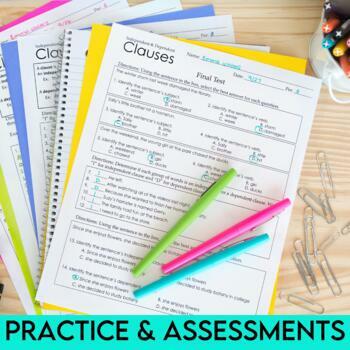 Independent Clauses and Dependent Clauses: Teach your students about independent and dependent clauses with this all-in-one teaching resource. The PowerPoint breaks this difficult concept down to the basics, which makes it easier for students to grasp. First, students learn about subjects and verbs. 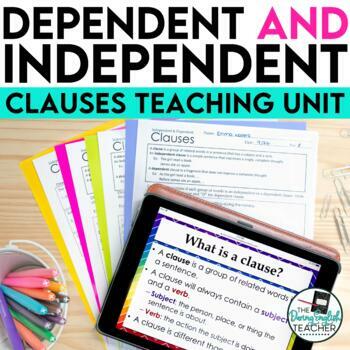 Then, they learn about the difference between phrases and clauses, and the difference between dependent and independent clauses. 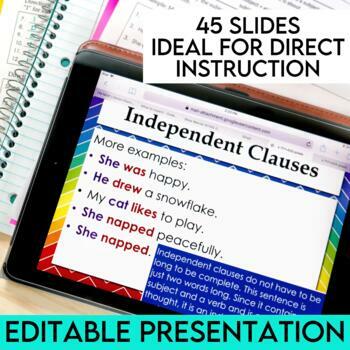 Before you know it, your students will master this concept and be able to write amazing complex sentences! This lesson is included in a bundle! Looking for resources for the ENTIRE year?